In an interview, Gates talked about his family, in particular - his dad. He told the interviewer that his father was a eugenicist, and that for many years his dad was the head of Planned Parenthood. When Bill Gates divulged this information, it was clear that he felt proud of his father for his work. It disgusted me. When I was outlining the main points of this article, at times I felt like I was reading a fictional novel — so EVIL, that it nearly took my breath away that people could do such horrific things to their fellow human beings. When we hear the name of Bill Gates, we think of a man who became ridiculously rich from his empire, Microsoft. I will tell you this. You will never think of Bill Gates the same after reading this article. In an interview, Gates talked about his family, in particular – his dad. He told the interviewer that his father was a eugenicist, and that for many years his dad was the head of Planned Parenthood. When Bill Gates divulged this information, it was clear that he felt proud of his father for his work. It disgusted me. The Ebola Scare, Where Did It Disappear To? Here is the real kicker: Bill Gates says in this video (by the say, he is speaking to other billionaires) that the vaccines will reduce the population of the earth. Again, you did not read this incorrectly, nor is this a typo. When asked how this could possibly be true, he said that the vaccines will reduce infant mortality and in the long run, that will reduce population. REALLY??? NOT FOLLOWING THAT LOGIC. “The International Medical Council on Vaccination is an association of medical doctors, registered nurses and other qualified medical professionals whose purpose is to counter the messages asserted by pharmaceutical companies, the government and medical agencies that vaccines are safe, effective and harmless. Our conclusions have been reached individually by each member of the Council, after thousands of hours of personal research, study and observation. It is well known that when society is in a state of fear or panic – they can be manipulated. When the news was reporting on Ebola, I would say that most of us we more than a bit concerned. Maybe some were scared to death. JUST where they want us. In 1999, Gates gave over 20 million dollars to Johns Hopkins to establish a wing of the hospital where the Foundation was born. This foundation has always hidden behind the mantra of “Health and help” for women in third world countries. The thrust of the foundation has been working with the big Pharma companies, to create vaccines for the masses in these impoverished countries. When we hear the name of Bill Gates, we think of a man who became ridiculously rich from his empire, Microsoft. Click this image for more on Bill Gates. 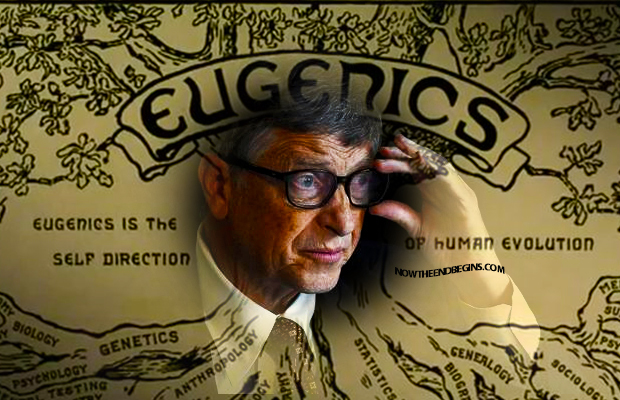 Because I am always suspicious of people who are associated with the NWO, I decided it was time to dig and find out the REAL reason for the establishment of the Gates’ foundation. The targeted areas are third would countries in Africa, India and Asia. Do I even need to connect the dots for you? I have tried to make this as comprehensive and clear as possible. POPULATION CONTROL is being accomplished through the extensive use of vaccines. There are mega rich, unsaved people, who think they are “helping the planet” who are in actuality deceiving millions of people all over the world. That includes us, folks. But the ones who are being manipulated and harmed the most are in these third world countries. Who knows? Maybe they are placing harmful chemicals in vaccines in our country too. Perhaps in areas they consider to be populated with lower economic demographics. That is exactly why Planned Parenthood strategically places most of their killing mills in the inner cities, where they know that there are densely populated areas of blacks.